Picking up where the last live-action show ends, Tokyo One Piece Tower has an all-new show ready for 2019! Titled ONE PIECE LIVE ATTRACTION: MARIONETTE, this live-action special picks up where the previous show, PHANTOM, left off. Featuring Caesar Clown from PHANTOM, MARIONETTE is a 20 minute adventure between Luffy and Caesar with a few familiar faces in the mix. Charlotte Cracker and PHANTOM-exclusive character Diva Ann will also make an appearance along with new special effects and projection mapping. 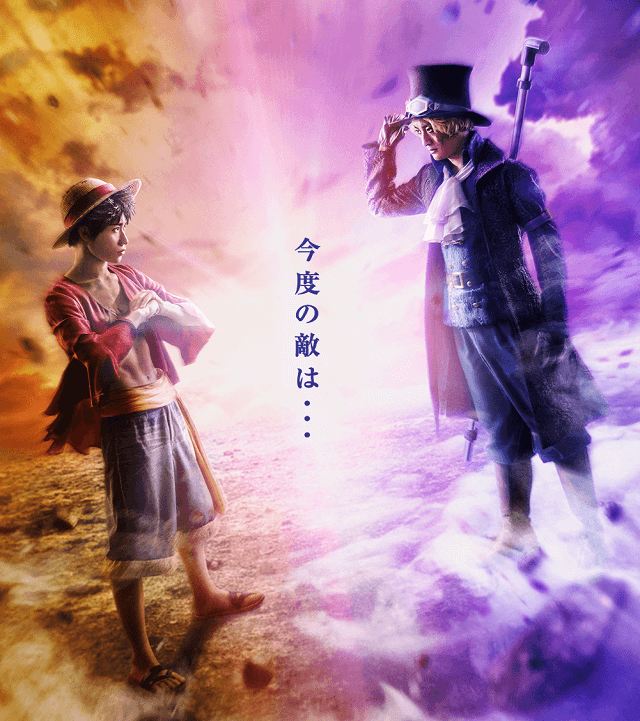 In addition to the battle between Luffy and Caesar, Luffy's sworn brother Sabo will also make his debut in MARIONETTE to no doubt help his little brother out. The new stage performance is set to begin showings from April 24th and has between 5 to 8 showings a day, depending on when you visit the tower. One Piece fans aren't going to want to miss this epic show while at Tokyo One Piece Tower. Please note, the show is only available in Japanese and does not have subtitles. Shows begin as early as 11 AM and last showings as late as 8 PM beginning April 24th.